Wonu Sanda is an Associate and Solicitor-Advocate (Higher Courts Civil Proceedings) specialising in partnership and employment law. Wonu has a background from the Bar, having been called to the Bar of England and Wales in 2012, and has advocacy experience in employment tribunal proceedings. Wonu has a particular interest in matters involving whistleblowing. 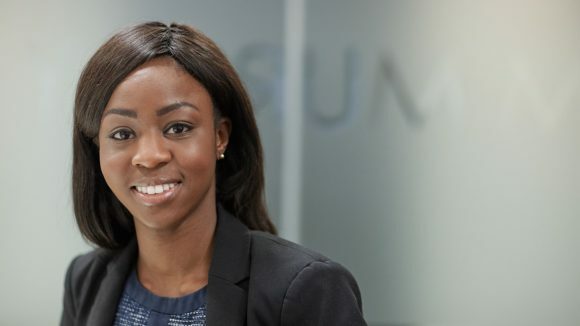 Wonu liaises extensively with clients on partnership and employment law issues on a wide range of matters and regularly liaises with and instructs leading partnership and employment law Counsel. She regularly works with Partners to advise on a range of issues in employment and partnership disputes and exits, including enforceability of restrictive covenants in traditional partnerships and LLPs, discrimination, whistleblowing and jurisdictional issues. She also has experience in assisting Partners in High Court litigation matters. Wonu assisted in a multi-jurisdictional partnership dispute. Wonu advised a professional services firm on the exit of a senior equity partner who sought to orchestrate a team move from his firm. Wonu assisted in advice to 3 German based equity partners of a Global services partnership. Wonu advised in relation to a departing partner facing injunction proceedings in the High Court to enforce lengthy restrictive covenants. Wonu represented a member of a fund management LLP regarding unfavourable changes to LLP terms and governance, and in due course on his exit. Wonu assisted in advising a financial services client headquartered in Germany in relation to a complex whistleblowing claim, which included resisting an application for interim relief. Wonu is advising on the representation of Public Concern at Work (‘PCaW’) on the charity’s planned intervention in the Court of Appeal in the high profile reported case of Chesterton Global Limited v Nurmohamed UKEAT/0335/14. This is the test case in establishing the meaning of “in the public interest” which was inserted into whistleblowing legislation in 2013. Wonu advised the founder and former employee of a multi-national services company on the enforceability of his extensive restrictive covenants. Wonu assisted in representing an inter-dealer broker in his appeal to the Employment Appeal Tribunal regarding the non-payment of a bonus by his former employer following his resignation to join a competitor.